An ancient town located about 18.6 miles (30 km) southeast from Chengdu, Huanglongxi is named for the Huanglong River, which flows through it. 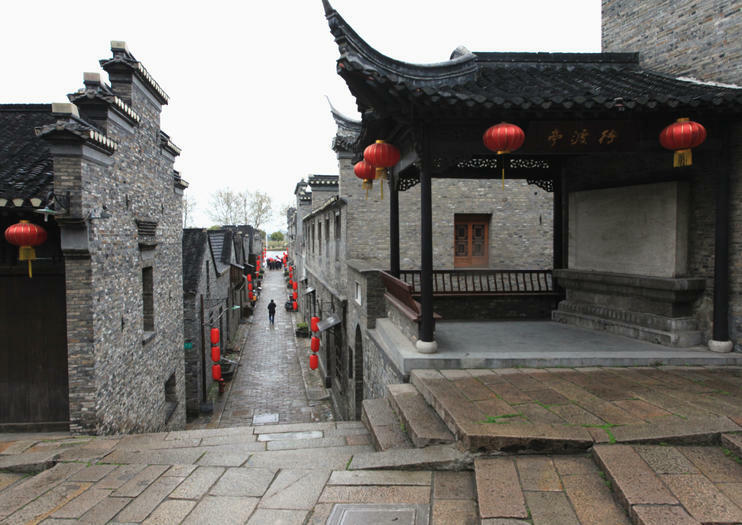 The town consists of seven well-preserved, ancient streets, which were built during the Ming and Qing dynasties, and also includes three temples: Gulong, Zhenjiang and Chaoyin. These three, along with two others in the immediate area, are what attract visitors to the site. Pay particular attention to the preserved stilt houses (built in levels to hold livestock on the ground floor), which are remnants of the Shu people, as well as the ancient 800-year-old banyan trees. Also near Huanglongxi are the Ancient Buddha Cave; the Buddha Weir, a narrow, stone-walled canal that leads fish into a closed tank where they can be caught; and an old military encampment called the Old Battlefield. Huanglongxi is also home to cliff tombs, which are burial sites of the Han Dynasty that have received architectural interest in recent years. The picturesque landscape and preserved buildings have also attracted filmmakers (more than 200 movies have been filmed here). With this, Huanglongxi has earned the title of the "Hollywood of China." Huanglonxi is accessible by bus from either the Jin Sha Bus Station or the Xinnanmen bus station in Chengdu; the trip will take between 70 and 80 minutes. Once you arrive, the town is navigable by foot and admission is free.